Our School Council is run by you, for you. 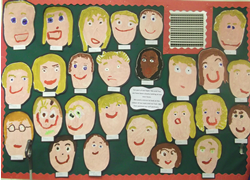 Every child in the school is able to become a school councillor and each class votes for a boy and girl they want as councillors at the beginning of the first term. It’s an important job being a School Councillor and you’ll be part of the team which decides what we do as a school and how to make it better. You meet every two weeks to talk about how to make playtimes fun, how to care for our school and to decide which charities our school supports. Then you keep the rest of the class up to date with developments.